Irwin Allen’s 1965 cult-classic television series, Lost in Space, originally aired on CBS for a three season run consisting of 83 separate episodes. The program revolved around an attempt to colonize intergalactic territories via the four-person, Robinson family unit, who embark on a journey that is planned to take up the span of five and a half years. However, before the family is even aware of his presence, the nefarious, foreign secret agent, Dr. Zachary Smith, sets the Robinson’s off course, leaving them to become mired and adrift in deep space. The CBS program has mounted several attempts in the past to re-enter the American cultural consciousness, with Synthesis Entertainment co-founders, Kevin Burns and Jon Jashni, bringing attempted reboots to NBC and The WB to no avail. Despite the unrelated 1998 feature film adaptation from director Stephen Hopkins, the show has appeared to be a lost cause, though the latest word regarding the property might just hold out hope for the ultimate fruition of Burns and Jashni’s passion project yet. According to Deadline, director Neil Marshall (The Descent) and co-executive producer of Legendary TV, Marc Helwig, will be overseeing a Netflix Original Series reboot of the 1960s series, with Burns and Jashni on board as the project moves forward. Matt Sazama and Burk Sharpless (Dracula Untold) will write on the new show, that is currently being pitched as a more grounded, science-fiction drama about its depicted nuclear family of young space travelers intent on exploring alien and dangerous intergalactic terrain, no matter the odds. Reformatting a production as seemingly archaic as Allen’s show of wholesome family values is an odd concept in theory, though Burns and Jashni have undoubtedly thought long and hard about the specifics of adapting its story to a 21st century audience. It’s unlikely that many will remember much of Hopkins’ film of 1998, even if it boasted such dramatic heavy weights as William Hurt and Gary Oldman in the two lead roles of father Robinson and lead antagonist, secret agent Smith. That being said, a new take a fabled classic should provide Netflix subscribers a block of original programming that will offer those unfamiliar with the original show something oddly novel, and may just win a few fans to the Robinson family fold in the process. 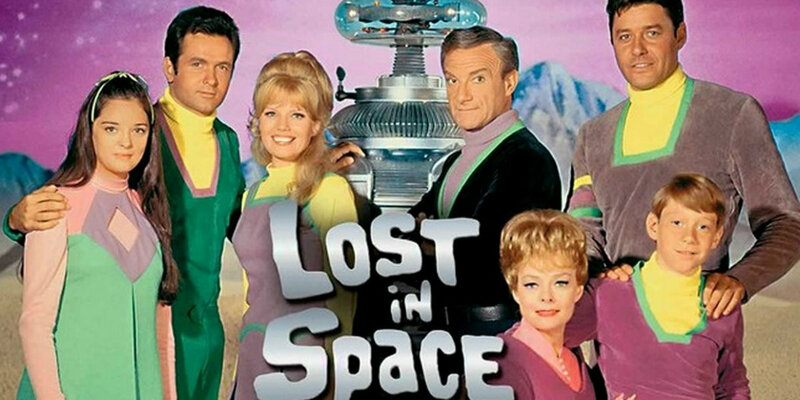 What's your thoughts on the new take on "Lost in Space"? At least I'm happy that I have Netflix.